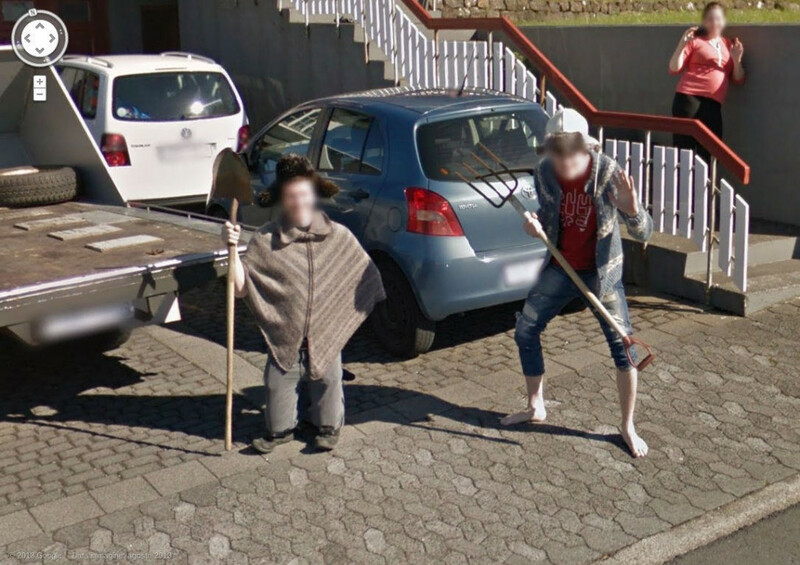 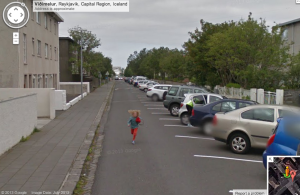 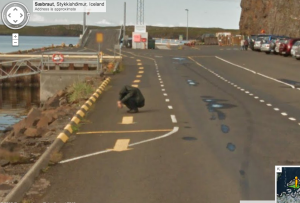 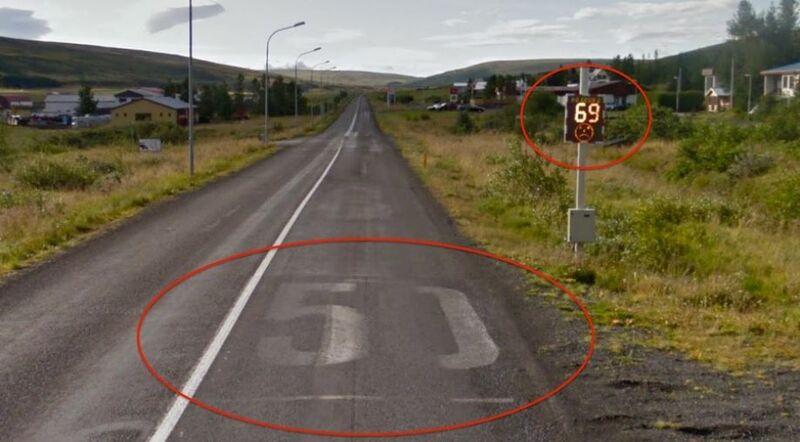 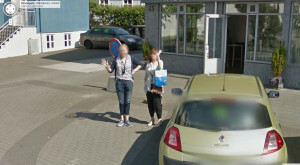 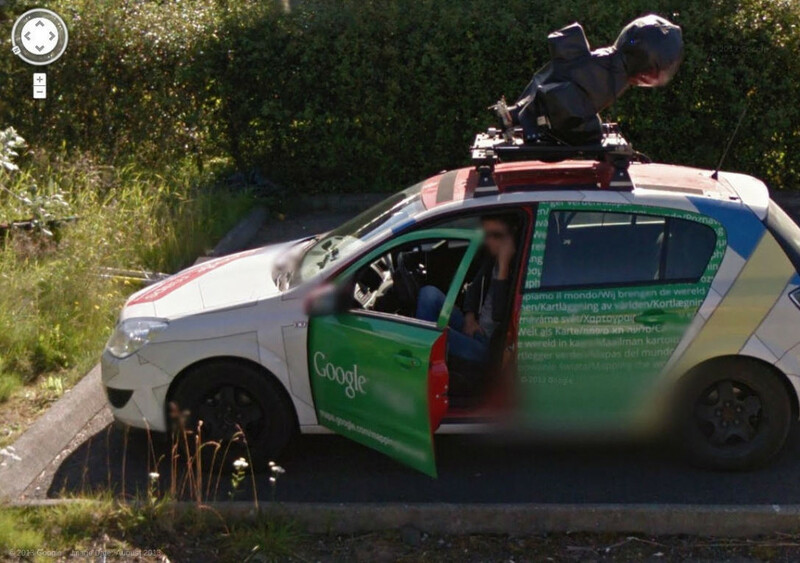 Google Street View Caught Speeding in Iceland! 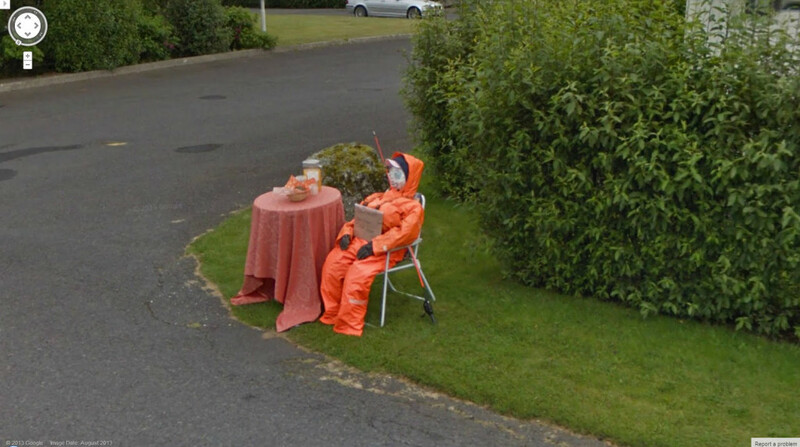 Halloween Costume? 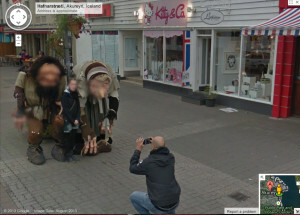 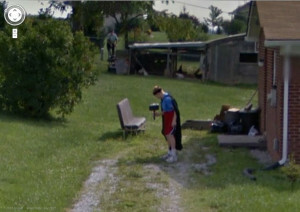 Or Google Prank? 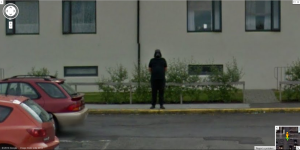 What is this Icelandic Character Selling?